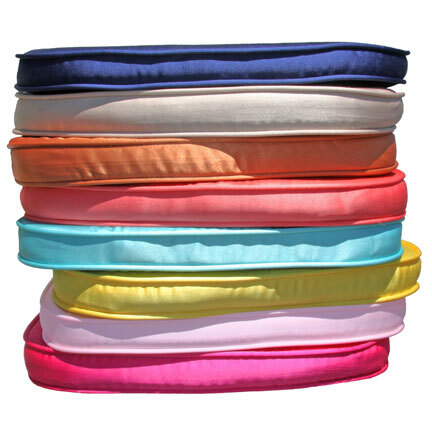 Our accent chair pads come in a variety of colors! A fantastic way to add some color to your event decor. Available in the following colors: Tiffany Navy, Tiffany Cashmere, Copper Satin, Tiffany Coral, Tiffany Blue, Tiffany Canary, Tiffany Light Pink, and Tiffany Garden Fuchsia. These pads are made for chiavari chairs and are a separate rental.